Chicopee, Mass. (AP) – Lottery ticket buyers hoping to use the same Massachusetts machine as the recent $758.7 million Powerball jackpot winner are out of luck. The Massachusetts State Lottery has retired the machine that printed the winning ticket belonging to Mavis Wanczyk (WAHN’-zihk). The Powerball jackpot she claimed last week is the largest grand prize won by a lottery ticket in U.S. history. State lottery spokesman Christian Teja tells The Boston Globe the machine was removed from a convenience store in Chicopee (CHIH’-kuh-pee) on Saturday and was sent to the lottery’s Springfield office for maintenance. He says there is an appetite to preserve “this piece of lottery history.” He says some interesting ideas have been proposed. It hasn’t been determined where the machine will go next. Tannersville, Pa. (AP) – Police say two women dressed as nuns attempted to rob a bank in Pennsylvania’s Poconos. Authorities say the women walked into Citizens Bank near Tannersville on Monday and one brandished a handgun, demanding money from a teller. But they left without taking anything. Each woman was wearing a black nun’s habit and veil. One woman also was wearing sunglasses. The FBI is investigating and posted bank surveillance photos on Twitter. University Park, Pa. (AP) – Two Penn State professors have received $300,000 from the National Science Foundation to develop technology that will enable digital devices to weed out fake news. The university says information sciences and technology professor Dongwon Lee and communications professor S. Shyam Sundar are working on the project. Lee says fake news “has been around for decades” but has been “exacerbated” on the internet and social media platforms. The professors plan to investigate “characteristic indicators of fake news” and develop complex formulas that will enable digital devices to recognize those indicators and purge stories that contain them. Sundar has researched the psychology of online news consumption for two decades. The Associated Press and other media outlets have made efforts to point out fake news, such as a recent social media headline claiming Hillary Clinton lost the popular vote. Boston (AP) – A rare yellow lobster has made its debut at the New England Aquarium, posing for a photo op with fellow oddly colored crustaceans. The lobster was donated to the Boston aquarium by a Salem seafood company. 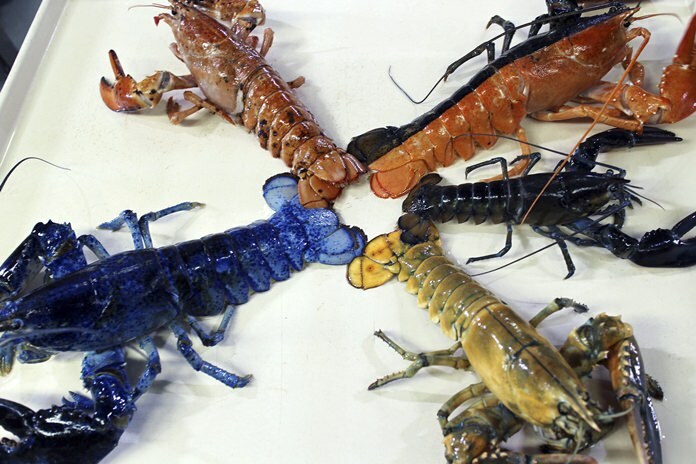 They marked its arrival by showing it off with other lobsters in unusual shades, including blue and orange, and one they call the Halloween lobster – black on one side and orange on the other. The yellow lobster will not be put on exhibit for about a month as it undergoes quarantine. The aquarium says the incidence of yellow lobsters in the wild is estimated to be about 1 in 30 million. Athens, Greece (AP) – A rescue operation in the eastern Aegean Sea has turned into a big marijuana bust. A Greek coast guard statement says a Turkish-flagged wooden sailboat that issued a distress call near the island of Nisyros was found to be carrying around 700 kilograms (1,500 pounds) of marijuana. The three Turkish nationals on board were arrested. The yacht’s crew radioed for help late Thursday, citing engine failure. Greek authorities sent a coast guard launch to look for the vessel. A freighter that had been diverted to help located the sailboat. The statement says the yacht was towed to Nisyros, where a search early Friday turned up the marijuana cargo. It was not immediately clear where the yacht had been heading.